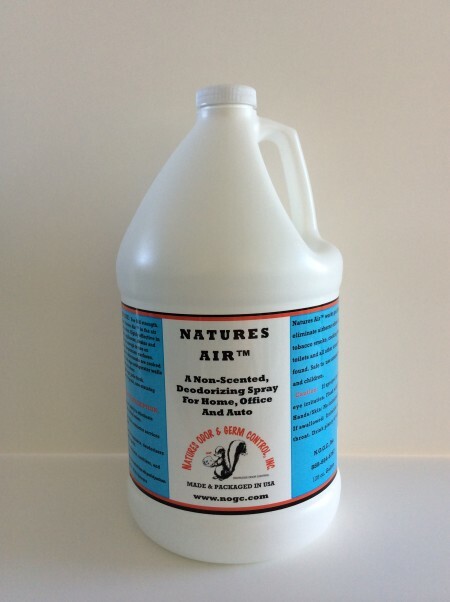 Natures Air Odorless Spray neutralizes, sanitizes, and eliminates odors. Use full strength. 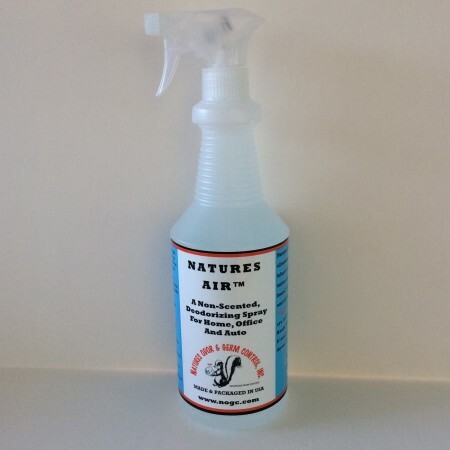 Spray Natures Air ™ Spray in the air to eliminate airborne odors. Highly effective in bathrooms, kitchens, and appliances. Safe enough to use on countertops and food preparation surfaces. Spray in the microwave after meals are cooked and wipe out. Spray and wipe refrigerator walls and shelves to eliminate odors. Use daily to keep garbage cans fresh. 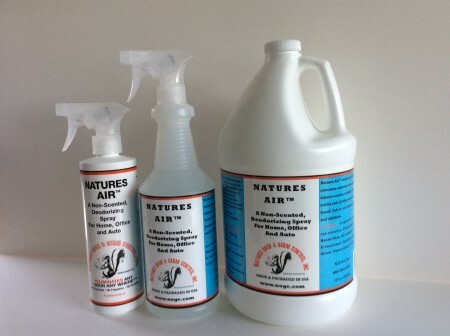 The product is non-allergenic, non-staining and non-toxic and is odorless. Air circulation makes the product work better. It is not a perfume or a deodorizer that disguises or masks odors. Hands/Skin: No irritation is reported. If swallowed: Irritation may occur in the throat. Thank you for providing such wonderful products. I have chemical sensitivities and your products have been a true life saver. 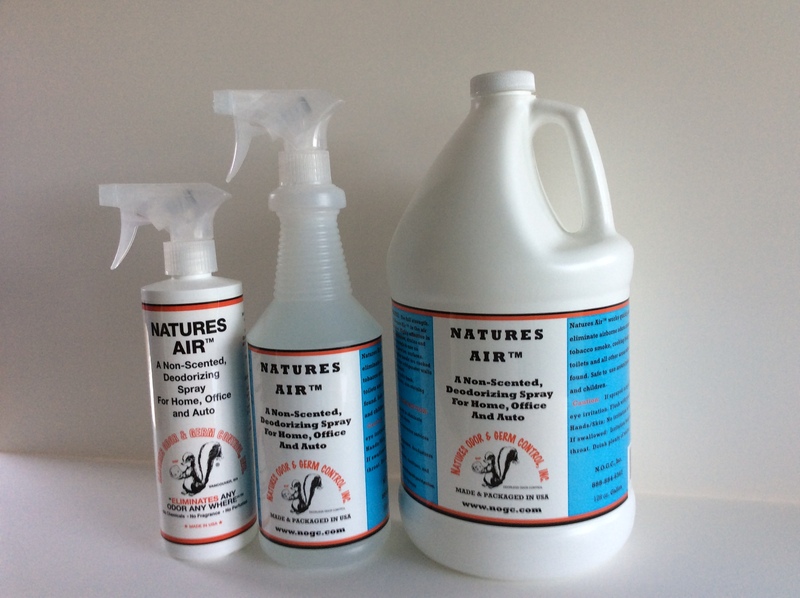 I have tried Odor Crushing Packs, Mold & Mildew Kit, Natures Air, N.O.C. 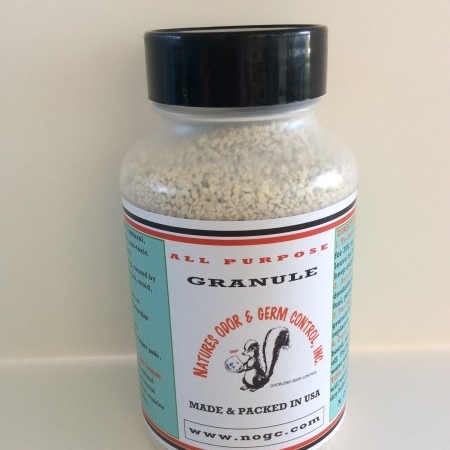 – Natures Odor Control, All Natural Pet Powder. Comments*: All of these products are amazing! BOSS gets rid of any and all stains and odors in carpet, cars, athletic equipment etc… It even took mildew off of my parents Vinyl siding. 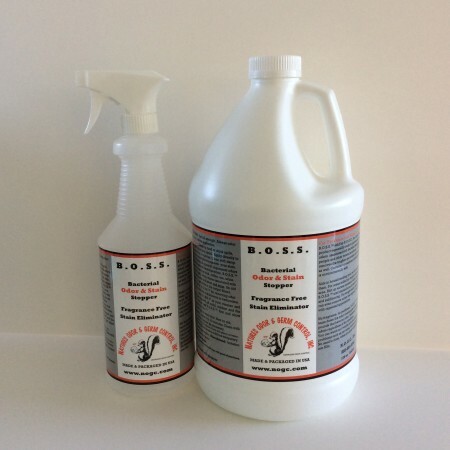 The combination of BOSS and Germ Doc keep my Dog breeding business running smooth since I can easily clean up messes and keep things sterilized! I can’t recommend these products enough!! They are the BEST! !